Key Man Service is your friendly, convenient locksmith helping you with the locks in your house, apartment or condo. We’re here to support you around the clock, 24/7. So if you’re locked out of your home, we are the ones that come straight to your location to help. Our 24-hour service is there for you every day, weekends and national holidays included. Furthermore, we are truly dedicated to safely securing our customers’ homes from theft and burglary in the night. 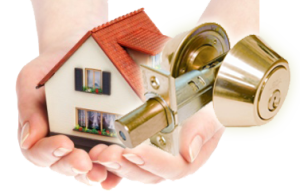 If you are uncertain about the type of locksmith service you need. Our team will be happy to answer any questions you have and guide you in the right direction. The technicians at Key Man Service are all masters of their trade with many years’ of academic and practical experience under their belt. Every technician has a unique style, and you can find each one using different methods to fix the same job. Our locksmiths continue to train in order to keep up to date with the very latest technology. Because the security locksmith industry continues to grow rapidly. We always make sure that the technician dispatched to you is the most suitable one for the job. Consequently, all technicians at Key Man Service arrive in a fully loaded work vehicle. Which means that they are always prepared to complete each one of our services at a really high level. Once you have spoken to one of our team members to either book an appointment scheduled at your convenience or to receive an immediate service. You’ll be put into the capable hands of our handy technicians. The technician will call you when they are on their way to your location. And you can expect him/her to arrive in approximately 20 minutes from the time you initially called. Key Man Service will always provide you with a quick, pain-free experience, unlike other locksmiths who give the trade a bad name. We want our customers to be happy, content and feel comfortable when inviting strangers to their property. Therefore, our friendly technicians will fulfill all your residential lock and key needs. We have great services at competitive rates; call right now and see for yourself: (661) 210-1182.